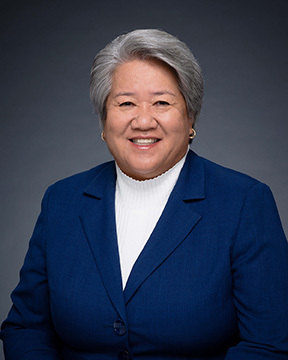 For 30 years, Representative Morikawa has been actively involved in Kauai's communities through her work with the Department of Parks & Recreation, and work on community projects and youth activities. Values of community, sacrifice and commitment are of paramount importance to Daynette. Representative Morikawa believes the biggest problem facing her community is aging infrastructure, and the need for new and expanded infrastructure services. Improvements identified by Daynette as necessary and in need of immediate attention include: public school facilities, the Kikiaola boat harbor, and road maintenance. Representative Morikawa attended Kapaa High School and Kahuku High School, and is a graduate of Kauai Community College with an AS in accounting. She is married to Ken Morikawa, and the mother of 4 sons, Kevin, Kelsey, Kollin, and Ken Jr.